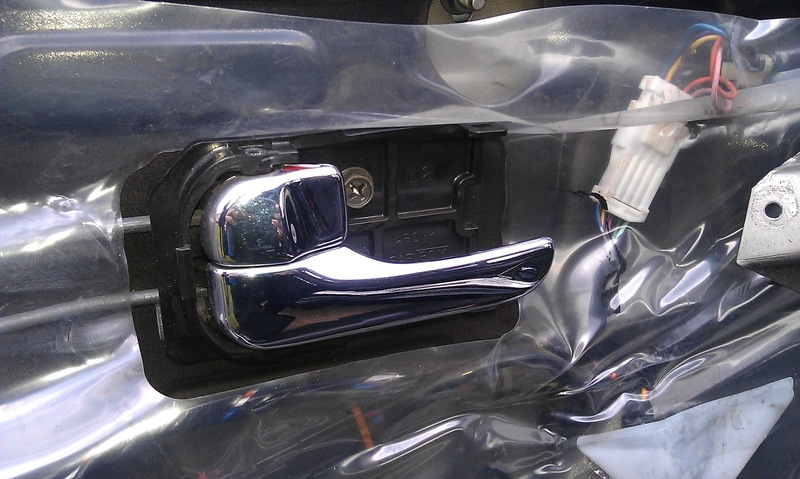 Well as mentioned previously I replaced the internal door handles. 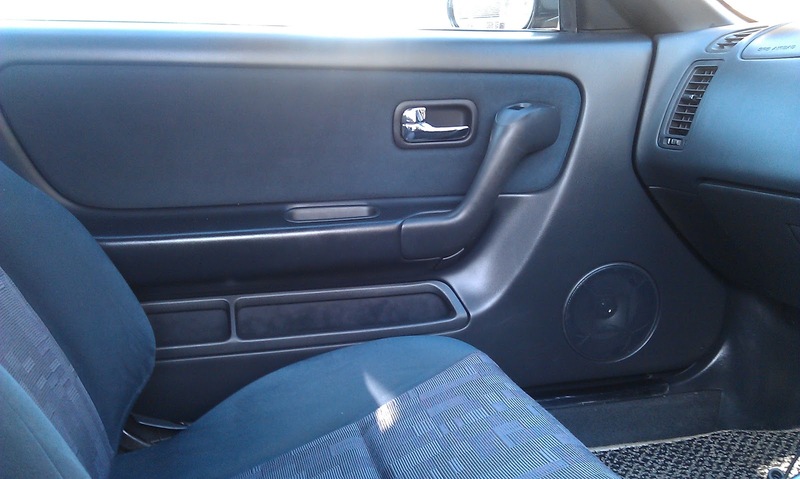 Here is a quick run down on how to remove the door cards. 3. Remove the internal handle surrounds. These are the most awkward as they slot over the back of the internal mechanism and clip to the front of it. Slide a small screwdriver in to release. 5. 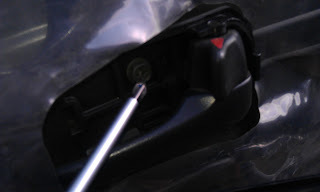 Lever out the electric window switch cover carefully and remove screw. 6. With a hand at the bottom edge and sides pull card towards you. 7. Lift door card up and off. 4. Remove the electric window switch panel. There are metal clips holding this in place, one in the centre near the door pull and one at the very end (dash end). Be careful when levering out! 5. With a hand at the bottom edge and sides pull card towards you. 6. Lift door card up and off. Conclusion: It's actually very easy to remove the door cards in comparison to other makes. You may want to do this just simply to cure an annoying rattle or to replace old door speakers. The only words of caution are don't try and force anything off! However the electric window switches on the drivers door are a bit tricky and it is hard to lever off without marking the surrounding panel (although it can be done). Also the surrounds of the door handles are a pain to slot a screwdriver in. If you look at the finished job picture, the best way to release the cover from the handle is to slot a thin blade screw driver in about 10/15 mm from the end of the handle. The actual clip is located in the centre of the lock end. Hopefully this all makes some sense and each panel can be removed in about 10/15 minutes.